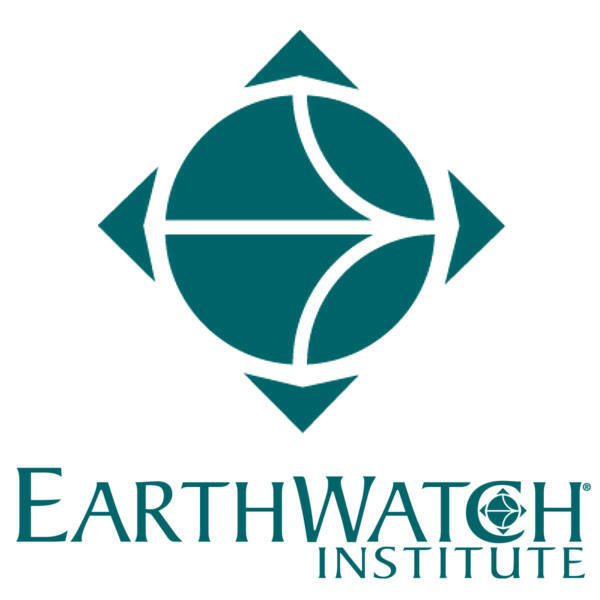 The Earthwatch Institute is an international nonprofit organization sponsoring researchers all over the world in their conservation and education initiatives. The Institute promotes the sustainable conservation of our natural resources and cultural heritage by creating partnerships among scientists, the general public, educators and businesses. Earthwatch currently sponsors several researchers with an ecosystem/biodiversity/conservation focus on sea turtles. Headquartered in Florida, the organization carries out worldwide programs to conserve and recover sea turtle populations through research, education, advocacy and protection of the natural habitats upon which depend upon. Turtle Island and its suite of marine restoration programs work to protect endangered marine species, save critical ecosystems, improve consumer choices, encourage government action and inspire corporate responsibility. 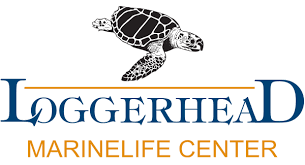 Loggerhead Marinelife Center is one of Florida's most unique non-profit cultural destinations focused on ocean and sea turtle conservation. 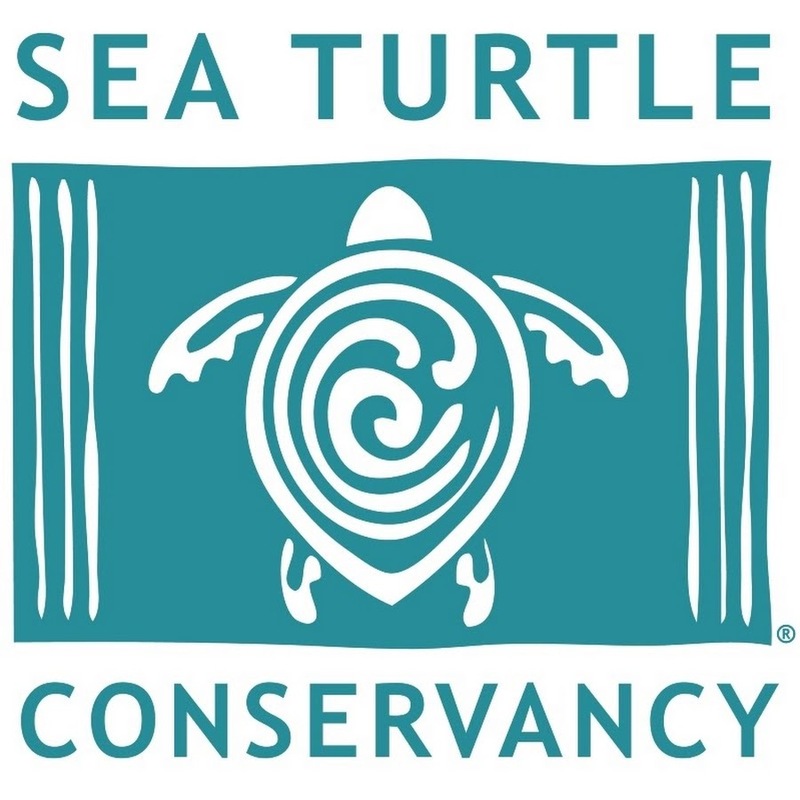 They offer sea turtle-approved child, youth, family, and adult programming year-round. 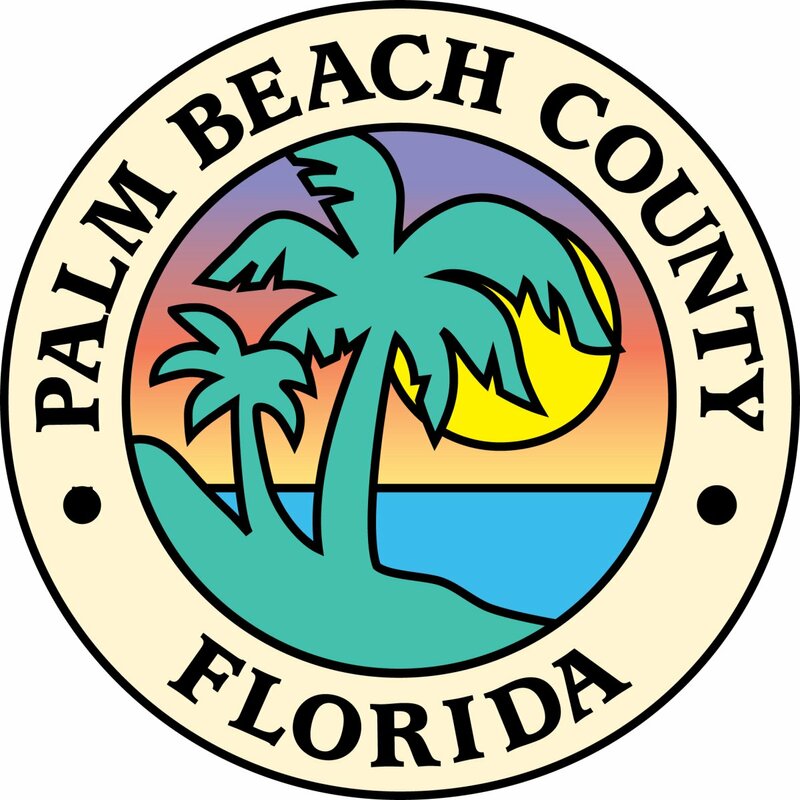 Palm Beach County's ERM Department has a Natural Resources Stewardship Division and Maritime Resources Section which includes a Sea Turtle Conservation Program. 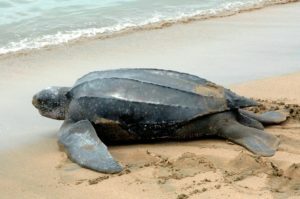 This site has a great deal of important and useful information on sea turtles ranging from local steps that can be taken to improve the survival rates of nesting sea turtles and hatchlings, to a listing of scheduled sea turtles walks open to the public during nesting season, particularly during the summer months, June through August. The Fish and Wildlife Conservation Commission and the Marine Research Institute are dedicated to protecting Florida's marine resources. The organization has coordinated the Statewide Nesting Beach Survey Program since 1979. The site also offers up-to-date nesting data from all over the state of Florida. 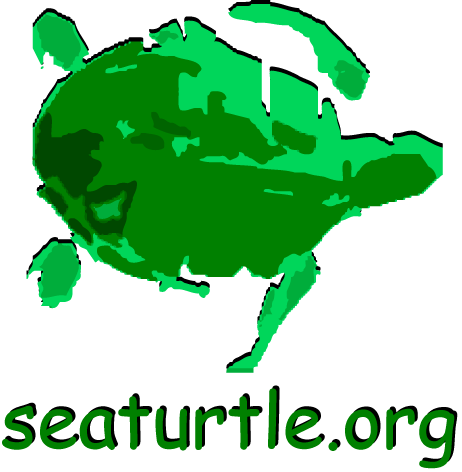 SeaTurtle.org is dedicated to providing online resources and solutions in support of sea turtle conservation and research. 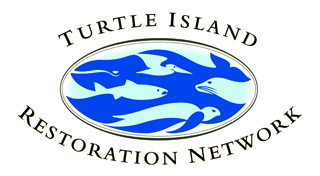 The site includes access to the Marine Turtle Newsletter in addition to providing an online home to organizations such as the Marine Turtle Research Group, the International Sea Turtle Society, and the North Carolina Sea Turtle Project. 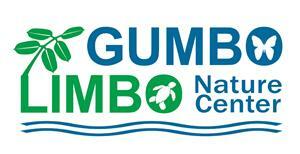 Gumbo Limbo, in Boca Raton, Florida, is a unique nature center presenting excellent exhibits of semi-tropical birds, animals, fish, sea creatures, herbs, trees, flowers and plants. Several guided nature walks are also offered to enhance your visit to the center. Florida Leatherbacks conducts intensive night time studies utilizing mark recapture, satellite tracking, and genetic studies to unravel the mystery of the leatherback sea turtle. By tagging individual turtles and documenting every encounter, we can better understand the size and health of the population as well as basic parameters like nest frequency, individual size, migratory patterns, and survival rates. 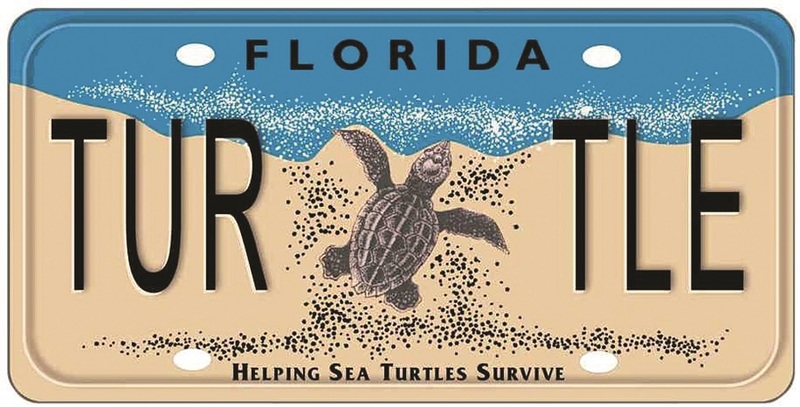 Thanks to the efforts of the non-profit Sea Turtle Conservancy and other Florida sea turtle groups, in 1997, the Florida Legislature authorized the creation of a Sea Turtle Specialty License Plate to promote the conservation and protection of Florida's sea turtles through providing a permanent funding source for the state's Marine Turtle Protection Program. A page devoted to marine turtles. 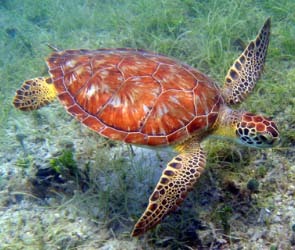 The reddish-brown loggerhead turtle is the most common sea turtle found in the southeastern United States. 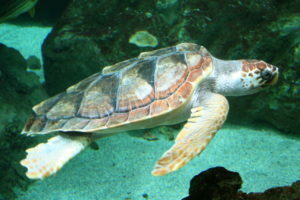 90% of the estimated 14,000 female loggerheads can be encountered in Florida. These turtles, named for their disproportionately large heads, have powerful jaw muscles which enable them to feed on a variety of heavy shelled mollusks and crustaceans in addition to jellyfish. Loggerhead turtles range in size from 33-40 inches shell length and 150-400 pounds. They reach maturity between 20-30 years of age and will be able to reproduce over a period of approximately 30 years. Loggerheads nest between late April and October prior to swimming off to feeding grounds throughout the Caribbean, northeast along the U.S. coast to New Jersey, southeast through the Florida Keys, and west to the Gulf of Mexico. Green turtles, named for the greenish color of their body fat, are medium to large reptiles. Their shells are distinguished by a mottled or radiating pattern of markings. Green turtles differ from other members of the sea turtle family because of the single pair of scales on the front of their smallish heads. Greens can be between 36-43 inches long, weighing between 200 and 300 pounds. Green turtle nesting shows a clear pattern of alternating high and low years. The years 1999 and 2000 give a good indication of this high/low pattern with 479 reported green turtle nests in 1999 and 8,404 green turtle nests reported in Florida in 2000, this according to data collected by the Florida Marine Research Institute. Greens are primarily a tropical herbivorous species most at home in areas of shallow, sandy flats abundant with seagrasses. Their low protein vegetarian diet causes green turtles to grow and sexually mature slowly. Greens will reach maturity anywhere between 15-50 years of age. Leatherback turtles are highly specialized and the largest and deepest diving of the sea turtle family. Individual leatherbacks range in length between 4 and 8 feet, and can weigh anywhere between 700-2,000 pounds. Unlike other species of sea turtle, leatherbacks are scaleless, covered instead with a firm, rubbery skin lined with 7 longitudinal ridges. Leatherbacks may travel up to 3100 miles from their nesting beaches which are found on tropical and subtropical shores. They will visit Florida’s beaches to nest between April and August each year. In 2000, 453 nests were counted in Florida and 35% of those were in Palm Beach County.